New Zondervan Exegetical Commentaries & Classic Audio Devotionals Just Released! "For many people the word theology suggests seminary-educated scholars who sit in ivory towers, isolated from the real world, studying the Bible. Such study is often viewed as esoteric and unrelated to the world where men and women live, work, play, raise families, and struggle with the realities of day-to-day life. 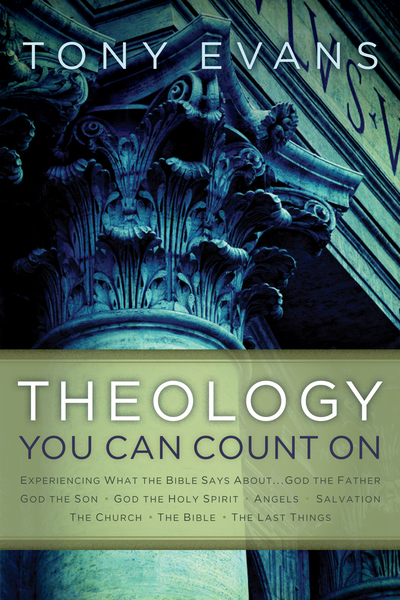 What we think about God, also known as theology, influences what we believe, do, and say. And what we think, whether true or false, makes a big difference in real life. Tony Evans wants you to know the truth about God, so Theology You Can Count On communicates truths about God in language you can understand. He walks through what the Bible teaches, topic by topic, truth by truth. The great thing is, these truths aren't reserved for people with PhDs. They're for real life. They're for you.